Servers are essential components of a network and are highly responsible for storing the data and furnishing it when requested.If the server cannot respond well and is bringing you trouble, this could be a downside for your business. VRS Technologies offers Server Rental services and maintenance for dealing with even the most cumbersome server related issuesso the servers are up to the mark and doing their best. Why Should Server Maintenance Really Matter? When the webpage is not loading up, what way can you keep the business moving? Customers come to your site and in case the server is not functioning well, there are direct chances the users will switch to the websites doing well. This may be dismaying but as a matter of truth, handling the business deals and the server functionalities simultaneously is not always manageable. Or if there is much downtime in the server, the online work at hand cannot go in accordance with the schedule so the productivity will no doubt be hampered and cause a heavy loss to the revenue. An immediate solution for the server might help it bounce back to condition. Why Does a Server Complain? Cyber-attacks interfere with the data center and cause the servers to malfunction. Or there could be a power outage and you might need immediate help with the server to get in place. To reduce the downtime or see the server up all the time, server rental services in Dubai from VRS Technologies play the part aptly. Ensuring a regular maintenance of the server would aid in the well-functioning of the server. 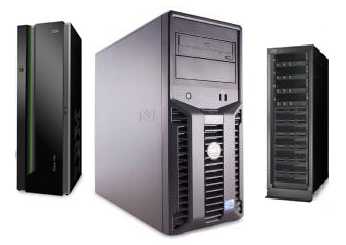 What can you expect of our server rental services? VRS Technologies extends a wide pool of server rental servicers andserver maintenance and so you could be at relief not having to struggle with server downtime problems. We study your business set-up and accordingly, tailor ways for apt server management without any scope for glitches. As part of our mission to maintaining your servers, we perform thorough maintenance of the hard drive with clean up, performregularbackups, security checks, functionality checks and redundancy checks. As masters of server maintenance, we have all the updated mechanisms to see your server working up to date. Contact VRS Technologies at +971 55 5182748 for server rental services and maintenanceand keep your business going hassle-free. Refer to our website www.vrscomputers.com to learn more about our rentals, services, repairs etc. How LED Screen Rental in Dubai can help in Outdoor Advertising? Laptop Repair: What are the Common Causes of Laptop Crashes? Why is MacBook Rental Preferred over Other Laptops in Dubai? Who’s the Best Printer Rental Company That You Can Trust? Why Renting a Laptop is the best option for your business? Copyright © 2019 AMC, IT Rentals & Leasing, PABX, Biometric Access Control, CCTV and Structured Cabling Services – VRS Technologies LLC. All Rights Reserved.